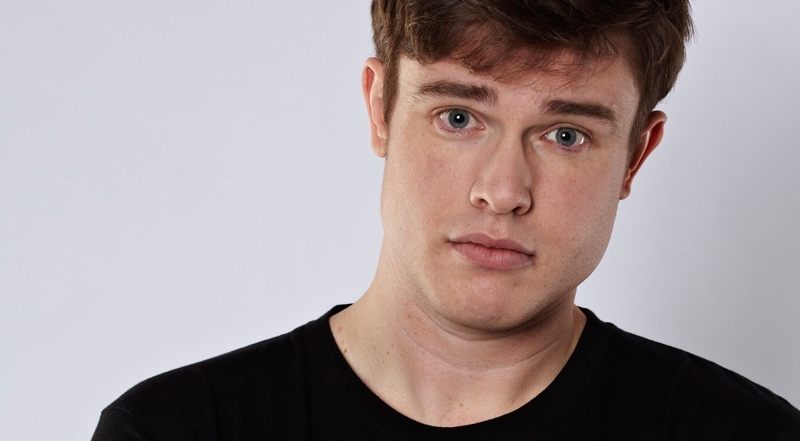 Ed Gamble is a very funny man, something that becomes obvious about five minutes into his extremely lively show when a girl sitting on a tall bench at the back of the venue laughs so hard at one of his jokes that she actually falls off her seat. Now that’s comedy. The joke in question is about Gamble’s impressive six stone weight loss, which he achieved – in part – by taking up running, an activity that does occasionally have some unexpected side effects (something marathon runner Paula Radcliffe can also vouch for). His account of a similarly unfortunate running experience is utterly hilarious. You can’t help but feel deeply sorry for him…and the cleaner who had to deal with the aftermath. Not all of Gamble’s humour is scatological, though having said that another highlight of this laugh-packed show does involve a routine that involves being sick on a plane. He also dedicates about five minutes to the subject of masturbation, so it might be best to avoid taking your grandma, mum and dad along (unless you have a particularly high embarrassment threshold). Bodily functions are a fairly central theme of the show, but that can’t really be avoided given the subject matter. Gambletron 5000 is – largely – a show about the physical form. In discussing his dramatic weight loss, we’re immediately thrust into the (occasionally gross) world of the human body: it’s size, shape, the way it repeatedly refuses to fit into a pair of size 10 jeans…that sort of thing. The earthier aspects are vital as it would be dishonest to only talk about the positive aspects of weight loss, though having said that you can’t help but applaud Gamble for turning his life- and health- around. Having said that, the show isn’t just about the life affirming feeling of finally being able to buy men’s urbanwear from River Island. That would be a bit dull, especially if – like most people – you prefer a Mars bar and a pint to a Zumba session. So to flesh out his show (so to speak) Gamble also shares equally entertaining anecdotes about a fairly horrific ‘lads on tour’ holiday with thirty posh blokes, as well as an equally bleak trip to Detroit while filming Almost Royal. Every single quip he throws out to the audience feels carefully crafted, clever and polished. It feels like being in a room with a master of comedy rather than a relative newcomer. The phrase ‘one to watch’ is tossed around all too casually in Fringe reviews, but in this case it’s certainly true. It’ll be a real surprise if he isn’t a panel show regular within a couple of years.